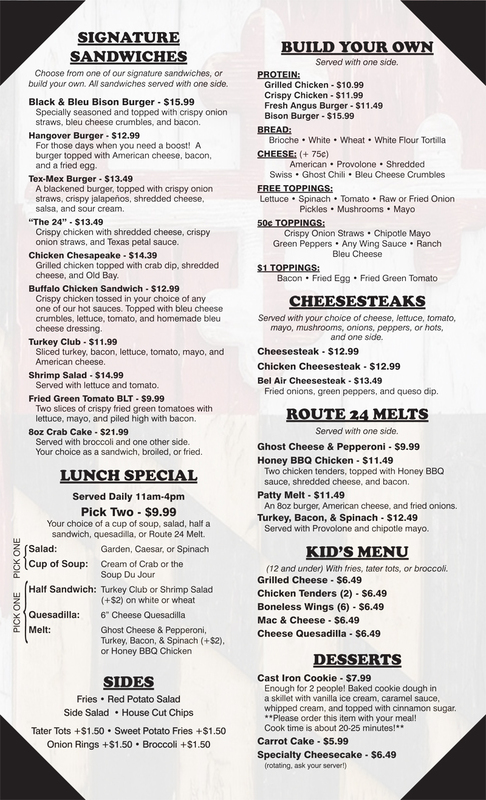 From Appetizers and Salads to Famous Cheesesteaks and Craft Burgers, Breasts, Sandwiches and Wraps, our menu of fresh fare will tantalize your taste buds! Oh, and don't forget the local favorite, our Famous Wings! We have tons of flavors and are adding more all the time! 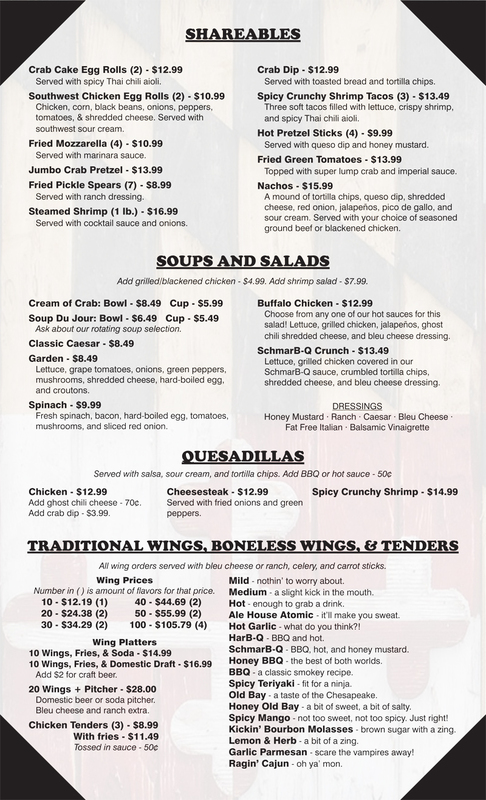 Click the images below for a larger view or get a pdf of our full Menu here.